STATE HOUSE – Rep. Teresa A. Tanzi, who proposed legislation earlier this year aimed at finding out how much of students’ time and districts’ money is spent on standardized testing annually, said she is pleased that the Department of Education has announced it will study this issue this year. “While I suspect students are spending quite a bit of time taking and preparing for the many tests they take, we don’t even have enough information to know just how much testing is happening in each school or grade. I’m really looking forward to the results of this review, and I’m heartened to know that the Department of Education is listening to parents, teachers and students and is taking this concern seriously,” said Representative Tanzi (D-Dist. 34, South Kingstown, Narragansett). A recent letter sent to school superintendents from the Department of Education and the Rhode Island School Superintendents’ Association informed districts that concerns about “over-testing” prompted the study, and that the department would consider streamlining assessments and eliminating those that do not advance education. The study will include community meetings, focus groups and a working group of four districts – East Providence, Newport, North Kingstown and North Providence – whose leaders volunteered to analyze their assessment and help develop plans to trim testing if appropriate. Representative Tanzi’s bill (2014-H 7835) would have required annual reporting by all public schools, school districts, mayoral academies, and charter schools on any federally, state or locally mandated or voluntary tests for students in each grade from kindergarten through 12. The report would have had to include information such as the grade level and number of students taking each test; whether each test is federally, state or locally mandated, or voluntary; an indication of whether each test is primarily a tool to measure student, teacher, school district or state performance; the costs per test; and the time spent in test preparation and taking the test. “There have to be some assessments to ensure that schools are effective in teaching students, but it needs to be done in a manner that doesn’t imperil teachers’ ability to teach. Days and weeks spent on testing are days and weeks that aren’t spent teaching and learning, and if there are too many of them, kids aren’t getting all the education they deserve,” said Representative Tanzi. The department’s announcement about the study comes after the General Assembly passed legislation halting the use of standardized tests as a graduation requirement this year until at least 2017. 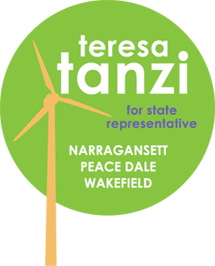 Representative Tanzi cosponsored an earlier version (2014-H 7256) of that legislation. The move enabled students who were otherwise eligible to graduate but who were unable to demonstrate adequate mastery or improvement on the controversial New England Common Assessment Program (NECAP) test to get their diplomas this year. Education Commissioner Deborah A. Gist, who had been a proponent of the use of the NECAP as a graduation requirement, later recommended delaying the use of any standardized test as a graduation requirement until 2020.